Exhibitor List Interested in exhibiting? 1-3 Nov 2019. 10am-5pm Fri & Sat, 10am-4.30pm Sun . Save £2.50 off the cover price. * The transaction fee is £1.50 for Standard Delivery or £1.50 for E-ticket (Print-at-home). Let us help you bring your project to life. 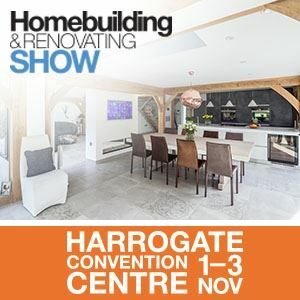 The one-stop-shop for homebuilding and renovating at the Harrogate Convention Centre from 1 to 3 November 2019 - get your tickets today! You'll find everything you need for your next project, big or small. From interior design to exterior landscaping, roofing to flooring, restoration to new-builds, it's all at the Homebuilding & Renovating Show. Carer tickets can be issued on the door - one carer per disabled customer.